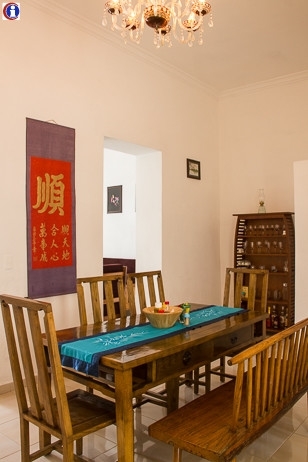 The charming Hostal Hanoi, hosted by a welcoming couple (Yohanna, from Havana and Pham from Hanoi, Vietnam), is ideal for groups that want to enjoy their stay in a pleasant and familiar atmosphere. 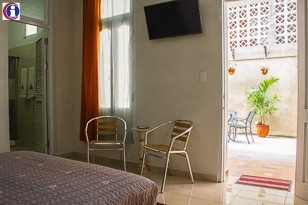 Hostal Hanoi is located in the once-notorious Mafia-run neighborhood of Vedado, only 100 meters of Malecon, Havana's evocative, 7km-long sea drive. 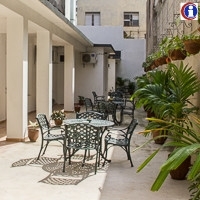 In this area, you can find a wide selection Cuban and International resturants, cafes, nightclubs, bars and theatres. 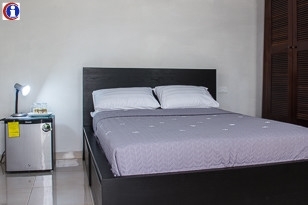 The nearest hotels are Presidente and Melia Cohiba. Yohanna and Pham live with their kids close to Hostal Hanoi and they are always happy to share some moments with their guests and when they are not around, the attentive reception and security staff will provide you with useful information about Havana attractions including great tips for local restaurants, bar and activities. 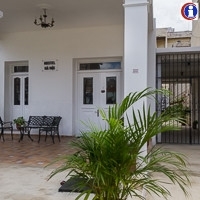 The building was first constructed in 1910 and it has been recently restored. 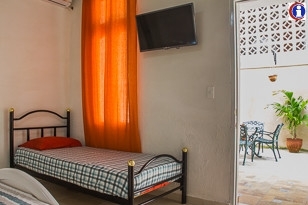 Now the Hostel offers 4 double bedrooms fully equipped with private bathroom, air conditioning, hot and cold water, TV, Wireless Internet and iron among other amenities. 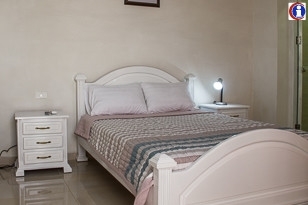 All rooms have access to the backyard, which is perfect for relaxing, chatting or enjoying a delicious home-made breakfasts for a small extra fee per person. 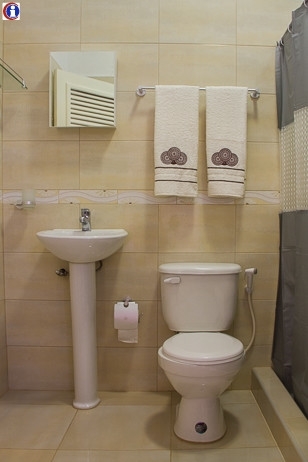 Previous guests of Hostal Hanoi have reported been very satisfied with cleanliness of this casa and its location. Most of them would happily go back. 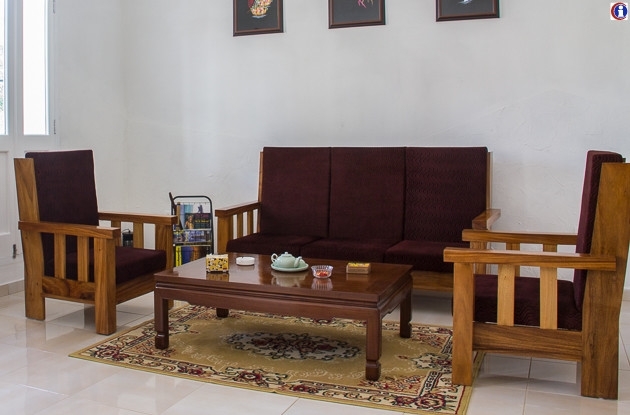 Reception and cleaning services are provided during the day and a security guard ensures safety and security during the night.